Wildflowers of the Carolina Lowcountry p156? 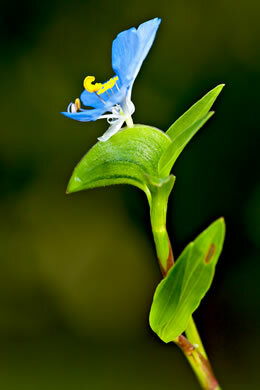 Wildflowers of the Eastern United States p158? A smaller plant than var. 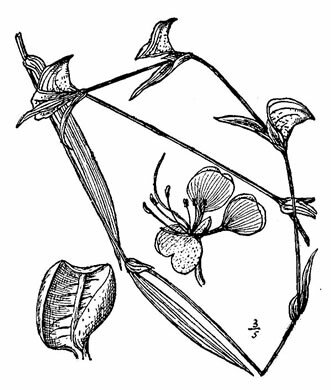 erecta of the Piedmont and low Mountains, per Wildflowers of the Sandhills Region. 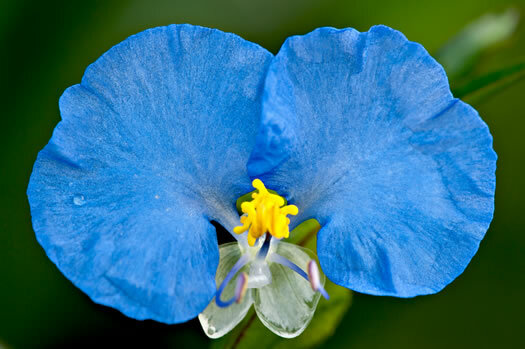 There are two blue petals plus a third that is white and much smaller, per Wildflowers of the Sandhills Region. 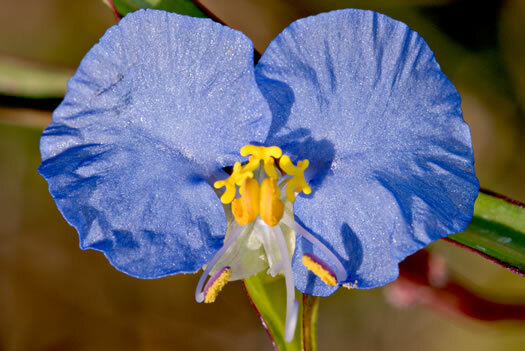 Flowers grow from within broad fused bracts (spathes) that sheath the stem, per Wildflowers of the Sandhills Region.